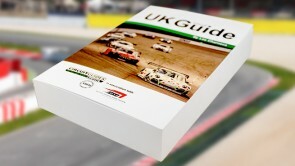 The MCN Circuit Guide is a unique guide to the fast way round all the race tracks in the UK. Containing comprehensive notes and diagrams on all 16 main UK circuits, the MCN Circuit Guide is invaluable for amateurs and seasoned pros alike. With racing lines, braking points, apexes, gradients, visual markers, difficulty, importance and much more described for every single bend on every single track in the country, there’s no better source of knowledge to help you find those extra seconds. As well as corner-by-corner riding analysis for each circuit, this guide also contains a host of other useful material for anyone planning a visit to a track, from general information on venue facilities to regional accommodation listings. As the National Governing Body for motorcycle sport in this country, the Auto-Cycle Union is delighted to support the MCN Circuit Guide. This excellent resource is a vital and valuable source of information for every racer – from club riders to National ‘newbie’ – and every trackday rider anxious to find the ‘racing line’. Indeed, its in-depth description of each and every corner in British racing is the perfect complement to any spectator interested in adding meaning to what they see the top riders do on the track week in and week out through the season. Containing comprehensive notes and diagrams on all 21 main UK circuits, this book is invaluable for amateurs and seasoned pros alike. With racing lines, braking points, apexes, gradients, visual markers, difficulty, importance and much more described for every single bend on every single track in the country, there’s no better source of knowledge to help you find those extra seconds. Irelands fantastically friendly and challenging race circuit. Minor Circuits Featured in the MCN Circuit Guide: Bishops Court, Darley Moor, Kirkstown, Nutts Corner, Oliver’s Mount, Three Sisters.